Anthracnose diseases are characterized by sunken black lesions on stems, leaves and pods. 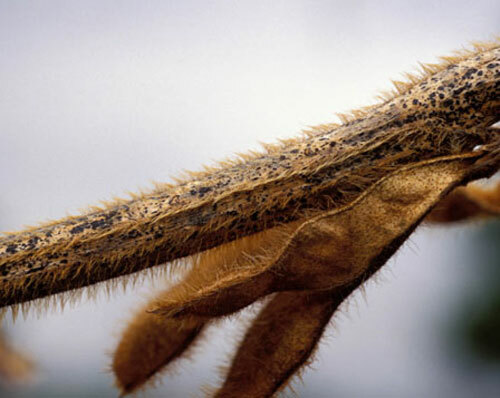 Anthracnose in soybean is caused by various species of the fungus Colletotrichum. It is present in soybean fields to some degree every season, but it generally does not cause severe symptoms or yield loss in the Midwest. There is also a species of Colletotrichum which causes anthranose of corn. 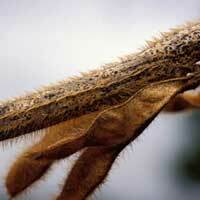 Colletotrichum can infect stems, pods, and leaves of soybean, often without symptoms. Signs of infection generally appear when weather conditions become warm and moist. It can also be a secondary pathogen on wounded plant tissue. 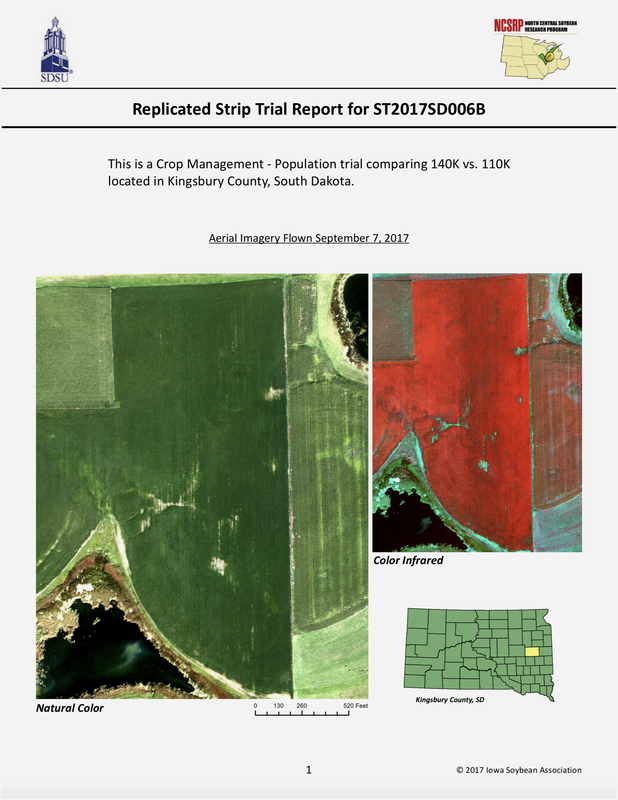 Anthracnose infection typically has minimal effects on yield, but it can occasionally reduce stands, yields, and seed quality. If pods are severely infected, they may produce little or no seed, or seed that is small, brown and moldy. Infected seeds may not germinate. Anthracnose infections typically occur during warm, moist weather. Spores produced on infested residue are blown by wind and rain onto upper leaves. Infection typically occurs when plant leaf wetness, rain or dew periods exceed 12 h per day. High plant populations favor disease development. Symptoms of anthracnose are most commonly seen during the reproductive growth stages. Symptoms on foliage, stems, petioles or pods typically appear as dark irregular lesions covered by small black dots, which are the fruiting bodies (acervuli) of the fungus. 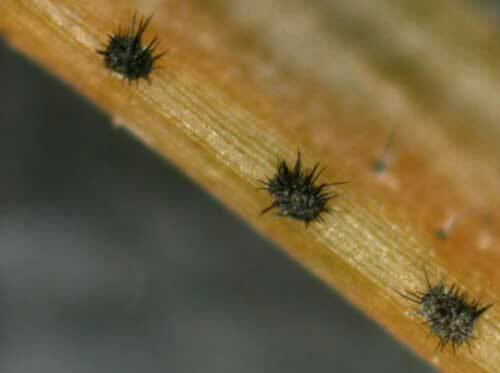 Tiny black spines may be evident when viewed with 10X magnification. When pods are infected, the fungus may completely fill the cavity and no seeds are produced, or fewer, smaller seeds may form. Seed that does form may appear brown, moldy and shriveled or may look normal. The dark, irregular lesions caused by anthracnose fungi often resemble those caused by the pod and stem blight pathogen, Diaporthe phaseolorum var. sojae Anthracnose and pod and stem blight often occur together on the same plants late in the season. 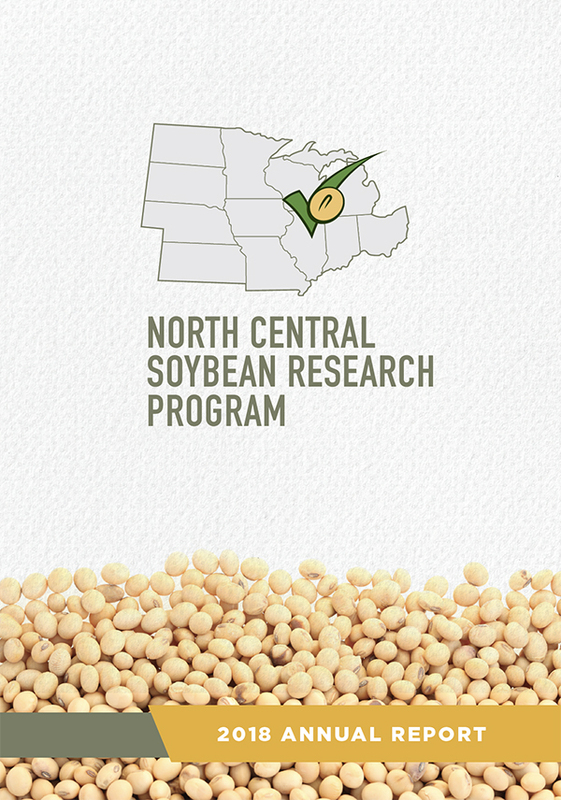 Soybean varieties differ in their susceptibility to anthracnose. Consult with your seed dealer if anthracnose is a persistent problem. Anthracnose is seed-borne, so it is particularly effective to plant high-quality seed that is certified pathogen-free. Do not use seed from infected plants. Not all infested seed is discolored. Foliar fungicides applied after bloom can prevent seed infection. The fungus can survive from year to year in crop debris. Prevent pathogen build-up by rotating crops and burying or shredding soybean residue to promote rapid breakdown.